Nicolettecinemagraphics is proud to be a sponsors of The Columbus Moving Image Art Review, providing video production services to the show since 2009. 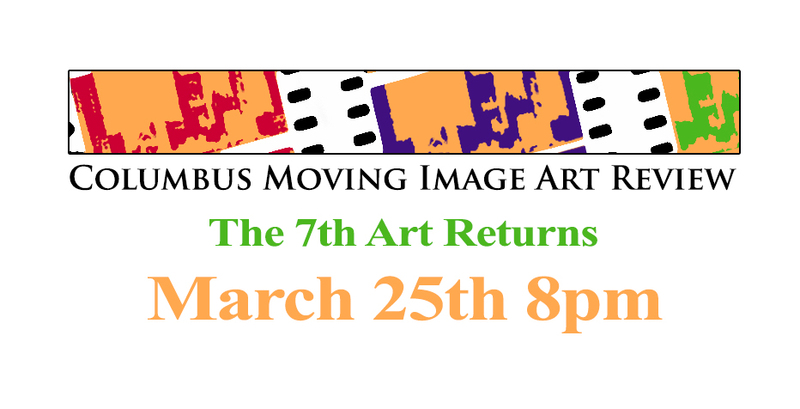 The Columbus Moving Image Art Review (CMIAR) will host its 26th quarterly local moving image screening event on Friday March 25th from 8pm to 9:30pm at Hagerty Hall 180. CMIAR is a screening event for artists residing in Columbus, Ohio and surrounding areas. CMIAR was developed by two local moving image artists Nikki Swift and Matt Swift, who wanted to create a way for the seventh art of film to return to the presentation medium of the cinema house. Free and open to the public. CMIAR is sponsored by The Ohio State University Film Studies Program and Nicolettecinemagraphics. Visit the event on facebook for more information.